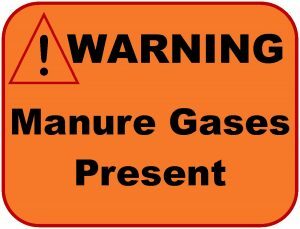 Since August, Manure Gas Safety has been an issue and continues to be a concern. The weekend of October 22-23, facilities in Iowa, Illinois and Wisconsin lost feeder steers in incidents related to hydrogen sulfide (H2S) during pump-out. These incidents involved deep-pit storage under slated floor barns with natural ventilation. Since learning of these incidents, two additional incidents have been identified from September in Illinois and Ontario, Canada. At this time we are not able to explain why there has been an uptick in incidents. Gas monitoring by producers and custom applicators have shown high occupational exposure levels of H2S in fields, tractor cabs at pump-out, and different locations in the facilities. To assist with monitoring information, the OSHA H2S Health Effects information has been modified for use. Click here to view the document. Also available is this information on monitoring equipment. 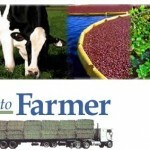 The Farmer to Farmer Hay, Forage and Corn List puts Wisconsin farmers in touch with one another for the purpose of buying and/or selling corn silage, high moisture corn, haylage, hay, and straw. It’s finally here! 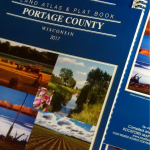 The 2017 Portage County Plat Book is now available. Get ready for hunting season and purchase yours today at Portage County UW-Extension! All proceeds from the plat books support the Portage County 4-H Program.